Unintentionally stumbling across someplace new is exactly what makes traveling so magical, But of course, it certainly never hurts to know a few things about the destination before you venture off. We'll fill you in on a few basics about Tzintzuntzan. It is 15 miles (24 kilometers) from Santa Clara del Cobre and 19 miles (31 kilometers) from Tingambato. Are you eager to meet some locals? That shouldn't be too hard. 3,000 people call this corner of Michoacan home. Organize your Tzintzuntzan flight and accommodation package via Travelocity, and keep more money in your pocket. With upwards of 400 airlines and 665,000 places to stay, you'll be spoilt for choice. Are you after a panic-free getaway experience? Our Customer 1st Guarantee gives you the added comfort of 24/7 personal assistance on our services. Encountered a better deal somewhere else? We'll meet the price and give you back the difference^. We know that sometimes changes must be made. If you need to change your bookings, you will not pay a fee to us. And so long as you get in fast, most accommodations don't charge extra fees either^. 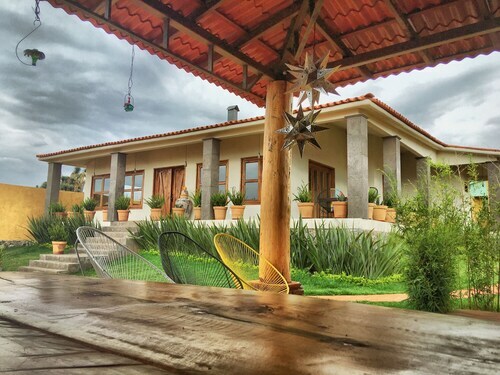 Are you looking for a place to stay in Tzintzuntzan? Don't be left with unattractive choices (or worse still, none at all) because you took too long to book. There are only 5 places available here, so chop chop! 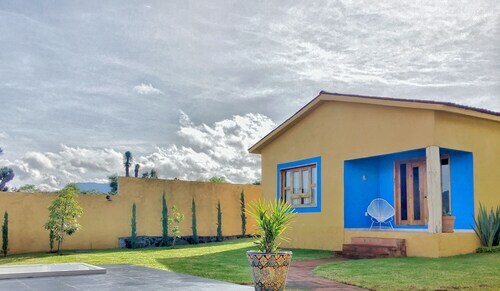 If you're on the hunt for quality accommodations in Tzintzuntzan, we recommend the Hacienda Ucazanaztacua and Best Western Plus Posada de Don Vasco. Reserve a room and then start booking all those amazing getaway experiences. Where do you fly into for Tzintzuntzan? Slip on your headphones and binge-watch a couple of movies. In no time, you'll be coming in to land at Licenciado y General Ignacio Lopez Rayon International Airport (UPN). It's 35 miles (56 kilometers) to the southwest from central Tzintzuntzan. Can I rent a car in Tzintzuntzan? Forget the hassle of trains and pricey cabs. If you plan to do some fun exploring while in Tzintzuntzan, it'd be wise to reserve some wheels via Travelocity. We make it so simple that you'll be fine-tuning your road trip playlist in no time! Public squares have many secrets to tell. Stroll over well-trodden paths and try to find some clues to the area's history at Basque of Quiroga Square. Want more options? If you're up for a little spiritual enlightenment, visit Temple Sagrario. Who knows, you might even glimpse the answers to a couple of life's most fundamental questions! And there's more going on in the surrounding area. What year was it built and what events has it seen? Try to find the answers to these questions when you stop in at House of the Eleven Patios, a building of historic importance. Morelia is a popular destination with adventurers. It can be found 25 miles (40 kilometers) from Tzintzuntzan, and there's no shortage of things to do. If you want to spend the whole day in the area, go to the Rose Garden in the morning. Next hop on over to Plaza de Armas and Morelia Cathedral. 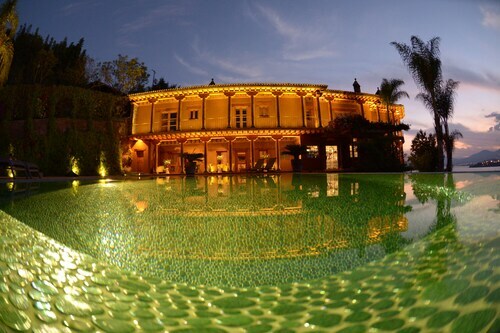 If this doesn't appeal, try Uruapan. Just 35 miles (56 kilometers) away, this area features more noteworthy attractions like Barranca del Cupatitzio National Park, Antojitos Market and the La Huatapera Regional Museum. Spend the day here to get to all of them! 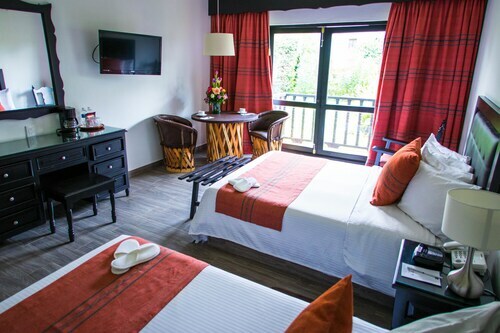 Situated near the airport, this romantic hotel is 5.5 mi (8.9 km) from Franciscan Convent of Santa Ana Old Museum and within 16 mi (25 km) of Nuestra Senora de la Salud Basilica and Basque of Quiroga Square. Gertrudis Bocanegra Square and Temple Sagrario are also within 16 mi (25 km). Situated on a lake, this hotel is 2.4 mi (3.9 km) from Franciscan Convent of Santa Ana Old Museum and within 16 mi (25 km) of Nuestra Senora de la Salud Basilica and Basque of Quiroga Square. Gertrudis Bocanegra Square and Temple Sagrario are also within 16 mi (25 km). Situated on a lake, this bed & breakfast is 1.6 mi (2.5 km) from Franciscan Convent of Santa Ana Old Museum and within 12 mi (20 km) of Nuestra Senora de la Salud Basilica and Basque of Quiroga Square. Gertrudis Bocanegra Square and Temple Sagrario are also within 12 mi (20 km). Situated on a lake, this historic cabin is 2.4 mi (3.8 km) from Franciscan Convent of Santa Ana Old Museum and within 16 mi (25 km) of Nuestra Senora de la Salud Basilica and Basque of Quiroga Square. Gertrudis Bocanegra Square and Temple Sagrario are also within 16 mi (25 km). Situated in a rural location, this historic property is 0.6 mi (1 km) from Franciscan Convent of Santa Ana Old Museum and within 12 mi (20 km) of Nuestra Senora de la Salud Basilica and Basque of Quiroga Square. Gertrudis Bocanegra Square and Temple Sagrario are also within 12 mi (20 km). 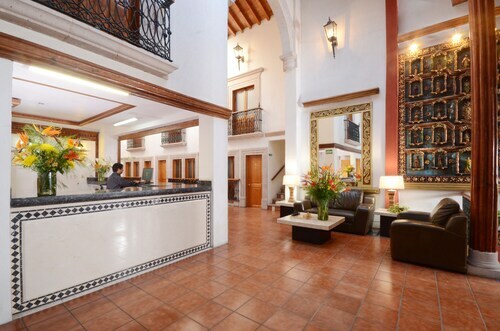 This family-friendly hotel is located in the city center, within 2 mi (3 km) of Gertrudis Bocanegra Square, House of the Eleven Patios, and Nuestra Senora de la Salud Basilica. Basque of Quiroga Square and Temple Sagrario are also within 2 mi (3 km). Situated in the historical district, this hotel is within 1 mi (2 km) of Gertrudis Bocanegra Square, Nuestra Senora de la Salud Basilica, and Basque of Quiroga Square. House of the Eleven Patios and Temple Sagrario are also within 1 mi (2 km). Licenciado y General Ignacio Lopez Rayon Intl.